Google has just announced a new version of Chrome for Android devices will be available for download in mid-October. The new, stable version will bring many new features and improvements, which will first be included in the beta build. 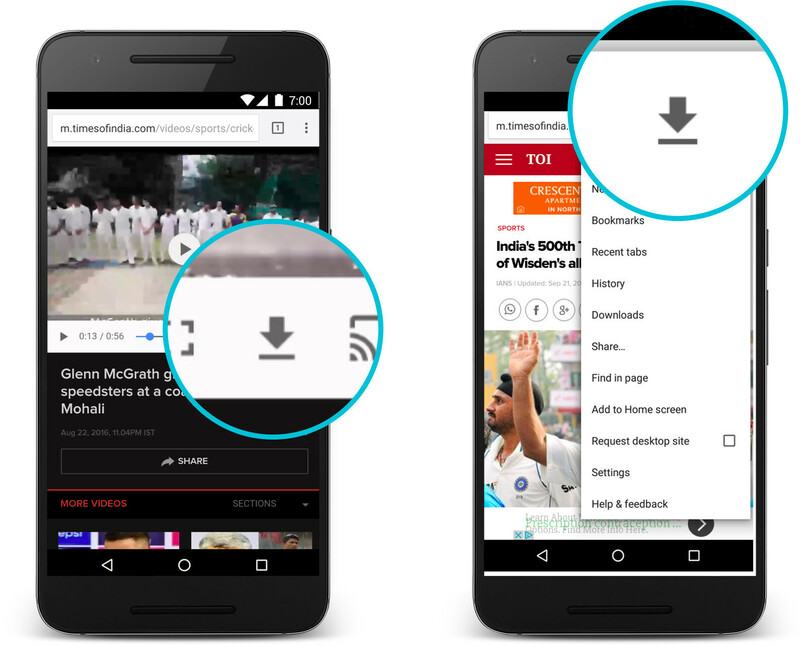 One of the most important new features in Chrome for Android version 54 is the ability to download websites, music, pictures, or even videos. That way you will be able to watch or visit them later on and you won't need Internet connection. Even if your download connection suddenly drops while you're downloading a file, as soon as Chrome goes back online, the downloads that you've already started will be resumed automatically. 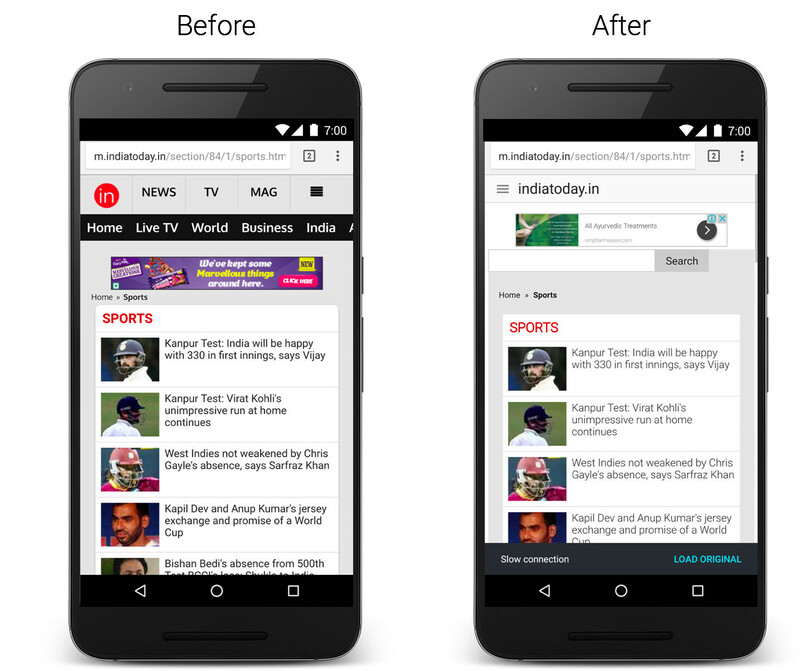 Chrome for Android users will also notice that there's a new home for all downloads, right inside the application. All content downloaded can be accessed offline from one place. Another important improvement that will be added to Chrome for Android is the text and image compression technology that the browser includes for quite some time, which will now be applied to videos as well. The technology will allow users to save up to 67% of data when watching MP4 format videos via Chrome. Also, the Data Saver feature will be enhanced as well, so when you're on a slow connection, the feature will optimize HTTP websites to their most important content. The optimized pages should save up to 90% of data, loading almost 2 time faster. Last but not least, the developers will also add smart suggestions for Chrome users, which will allow them to discover the most relevant content for them. As mentioned earlier, the new download feature is now available on Chrome Beta and will be included in the stable build next month. Can someone explain to me why there's a square next to the 'request desktop site' bit? It's something I have been wondering for the past few years. At first, I thought it was an issue with my phone's font or something, but it's there on all of my devices. Tick and Untick the square. Ahhh okay. Thanks. It just looks so out of place. Chrome has gotten better. I browsed the desktop version of PA using Chrome on a tablet running Android 5.1 without adblock, and there was no lag in page loading! Wow, that's impressive. My brand new i7 16GB RAM HP Spectre x360 crawls when trying to load PA on Chrome without Adblocker enabled. It's truly unbearable. Chrome needs some serious rework regarding memory usage. Right now that's the only main concern I have with Chrome for both platforms.